Please read this agreement ("Agreement") carefully before accessing or using this web site ("Site"). By accessing or using the Site, you agree to be bound by this Agreement. MCC Mortgage Centre Canada Inc. and its suppliers provide the information and services on this Site to you, the user, conditioned on your acceptance without modification of the terms, conditions and notices contained herein. Your use of this site constitutes your agreement to all such terms, conditions and notices. The information and services offered on this Site are provided with the understanding that neither MCC Mortgage Centre Canada Inc., nor its suppliers or users are engaged in rendering legal or other professional services or advice. Your use of the Site is subject to the additional disclaimers and caveats that may appear throughout the Site. MCC Mortgage Centre Canada Inc. and its agents assume no responsibility for any consequence relating directly or indirectly to any action or inaction that you take based on the information, services or other material on this Site. While MCC Mortgage Centre Canada Inc. and its suppliers, strive to keep the information on this Site accurate, complete and up-to-date, MCC Mortgage Centre Canada Inc., and its suppliers cannot guarantee, and will not be responsible for any damage or loss related to, the accuracy, completeness or timeliness of the information. You may access, download and print materials on this Site for your personal and non-commercial use. You may not modify, copy, distribute, transmit, display, perform, reproduce, publish, licence, create derivative works from, frame in another Web page, use on any other web site, transfer or sell any information, software, lists of users, databases or other lists, products or services obtained from this Site. The foregoing prohibition expressly includes, but is not limited to, the practices of "screen scraping" or "database scraping" to obtain lists of users or other information. If and when requested by MCC Mortgage Centre Canada Inc., you agree to provide true, accurate and complete user information and to refrain from impersonating or falsely representing your affiliation with any person or entity. Except with the written permission of MCC Mortgage Centre Canada Inc., you agree to refrain from accessing or attempting to access password protected, secure or non-public areas of this Site. Unauthorized individuals attempting to access prohibited areas of this Site may be subject to prosecution. All materials on this Site (as well as the organization and layout of the Site) are owned and copyrighted or licenced by MCC Mortgage Centre Canada Inc. and, its affiliates or its suppliers. Copyright MCC Mortgage Centre Canada Inc., 2006. All rights reserved. No reproduction, distribution, or transmission of the copyrighted materials at this Site is permitted without the written permission of MCC Mortgage Centre Canada Inc. and, its affiliates or its suppliers. Copyright MCC Mortgage Centre Canada Inc.
As a condition of your use of this Site, you warrant to MCC Mortgage Centre Canada Inc., that you will not use this Site for any purpose that is unlawful or prohibited by these terms, conditions, and notices. If you violate any of these terms, your permission to use the Site automatically terminates. You use this Site at your own risk. If your use of this Site or the materials therein results in the need for servicing or replacing property, material, equipment or data, neither MCC Mortgage Centre Canada Inc., nor its affiliates are responsible for those costs. THE INFORMATION, SOFTWARE, PRODUCTS, AND SERVICES PUBLISHED ON THIS SITE MAY INCLUDE INACCURACIES OR TYPOGRAPHICAL ERRORS. CHANGES ARE PERIODICALLY ADDED TO THE INFORMATION HEREIN. MCC Mortgage Centre Canada Inc., ITS AFFILIATES AND/OR ITS RESPECTIVE SUPPLIERS MAY WITHOUT PRIOR NOTICE MAKE IMPROVEMENTS AND/OR CHANGES IN THIS SITE INCLUDING BUT NOT LIMITED TO THE INFORMATION, SERVICES, PRODUCTS OR OTHER MATERIAL AT ANY TIME. ALL INFORMATION, PRODUCTS, AND SERVICES ARE PROVIDED "AS IS" WITHOUT WARRANTY OF ANY KIND. IN NO EVENT SHALL MCC Mortgage Centre Canada Inc., ITS AFFILIATES AND/OR ITS SUPPLIERS BE LIABLE FOR ANY DIRECT, INDIRECT, INCIDENTAL, SPECIAL OR CONSEQUENTIAL DAMAGES ARISING OUT OF OR IN ANY WAY CONNECTED WITH THE USE OF THIS SITE OR WITH THE DELAY OR INABILITY TO USE THIS SITE, OR FOR ANY INFORMATION, PRODUCTS, MATERIAL AND/OR SERVICES OBTAINED THROUGH THIS SITE, OR OTHERWISE ARISING OUT OF THE USE OF THIS SITE, WHETHER BASED ON CONTRACT, TORT, STRICT LIABILITY OR OTHERWISE, EVEN IF MCC Mortgage Centre Canada Inc., ITS AFFILIATES OR ANY OF ITS SUPPLIERS HAS BEEN ADVISED OF THE POSSIBILITY OF DAMAGES. BECAUSE SOME PROVINCES/JURISDICTIONS DO NOT ALLOW THE EXCLUSION OR LIMITATION OF LIABILITY FOR CONSEQUENTIAL OR INCIDENTAL DAMAGES, THE ABOVE LIMITATION MAY NOT APPLY TO YOU. You agree to indemnify, defend and hold harmless MCC Mortgage Centre Canada Inc., its affiliates and suppliers from any liability, loss, claim and expense (including attorney's reasonable fees) related to your violation of this Agreement. MCC Mortgage Centre Canada Inc. may modify this Agreement at any time, and such modifications shall be effective immediately upon posting of the modified Agreement. Accordingly, you agree to review the Agreement periodically, and your continued access or use of this Site shall be deemed your acceptance of the modified Agreement. This website is applicable to and should only be used by persons 18 years of age or older located within the Canada or the United States of America. Access and use of this website by persons under the age of 18 or from locations other than Canada or the United States is prohibited. This Agreement and the resolution of any dispute related to this Agreement or this Site shall be governed by and construed in accordance with the laws of Canada without giving effect to any principles of conflicts of law. Failure by MCC Mortgage Centre Canada Inc., or its affiliates to insist upon strict enforcement of any provision of this Agreement shall not be construed as a waiver of any provision or right. You agree that regardless of any statute or law to the contrary, any claim or cause of action arising out of or related to use of this Site or this Agreement must be filed within one (1) year after such claim or cause of action arose or be forever barred. Any legal action or proceeding between MCC Mortgage Centre Canada Inc., and/or its affiliates and you related to this Agreement shall be brought exclusively in federal court. 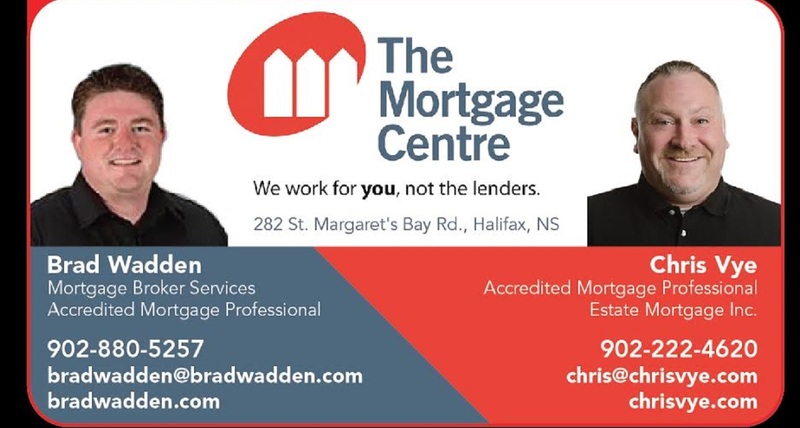 MCC Mortgage Centre Canada Inc., and other Inc, logos, product and service names are trademarks owned and licenced to MCC Mortgage Centre Canada Inc., or its affiliates (the "Marks"). Without the prior written permission of MCC Mortgage Centre Canada Inc. or its appropriate affiliates, you agree not to display or use in any manner, the Marks. All other trademarks are the property of their respective owners.